Each Poppy Flower is cut out of copper sheets. Then we shape the flowers by hand. Then the copper flowers are cleaned. Then the fun begins by torch firing the copper into the pretty enamel colors. After firing the flowers, they are annealed. Then cleaned again. Usually we make 4-5 flowers and pick the best two for earrings. Then the earrings are put together using head pins and other pretty beads and or crystals and or charms. 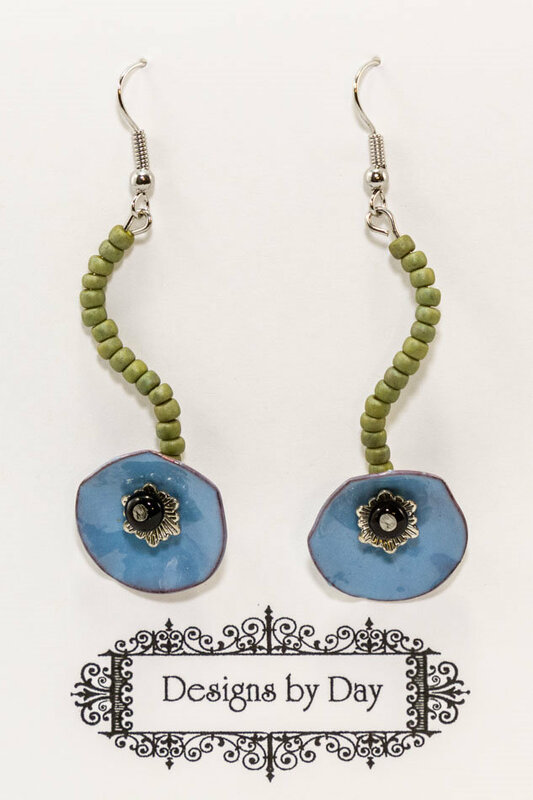 Each pair of Poppy Flower earrings are one of a kind. They are light weight and comfortable to wear.